My sincere apologies for the lengthy break since the last issue. No, “Talking Sailing” has not been committed to Davey Jones’ Locker – and it’s still very much alive and kicking! A lot of water has passed under the keel since the last one in April, and some rather dramatic changes have occurred that required my time. April was a busy month for me, especially as I had to take time off to run the Vasco da Gama Race from Durban to Port Elizabeth. It’s a race I have immense passion for, and one that I enjoy being involved in. So catching up after almost a week off, and getting magazines to printers saw me drop the ball then. The real reason though was that I was, at that stage, making a life-changing decision. After 396 issues of SAILING Magazine, and 33 years at the helm, I decided to drop anchor and stop the magazine in its printed format. As I say, a life-changing decision which was not easy to make! In place of the printed mag, I am now doing everything digitally on my Sailing Magazine Blog – www.sailing.co.za – so much of what was in the mag will now be on the blog, and lots more – mostly in ‘real time’. The advantages are that the long 4 to 6 week lead times have gone, with ‘immediacy’ being the operative word. New information can now be posted in a matter of minutes, as the new SAILING Blog is being updated daily, several times a day. May I suggest that you bookmark the site – www.sailing.co.za – and log in every day to get your daily dose of the latest sailing news from around the world and at home. The response to the closing of SAILING Magazine from its readers has been most heartening and positive. I was simply not aware that the magazine touched so many people in such a positive way – and thank everyone who took the trouble to convey their thanks to me and share their thoughts. Many had been lifetime readers of the mag! Fortunately most readers have said they will follow the Blog, and an indication of their loyalty is that the stats are improving daily – so they are converting quite easily from print to digital. As a result of these changes, the format of “Talking Sailing” will change slightly, in that it will also become a vehicle through which I can highlight some of the info posted in the SAILING Mag Blog, alert readers to it and ultimately drive people to the SAILING Mag Blog for them to make it their ‘go to’ page for their daily dose of sailing news. Please bear with me as I navigate through new waters, and as I have always said, the more “Talking Sailing” we do, the better our sport will become. This issue is relatively brief – but future issues will be back to those of old which were crammed full of an eclectic range of sailing topics – and more… . One way of apologising for the lack of “Talking Sailing” news is to offer the above watch as a prize – just 1 prize to one lucky winner. • COMMENT on the SAILING Facebook Page by telling us your favourite feature of this great watch – or anything else you like about it. • The competition is open to residents in South Africa ONLY. • Restricted to 1 entry per person. • A simple question must be answered as part of the entry requirements. • The prize may not be exchanged for cash or any other product. • There is just 1 prize which will be randomly drawn by ‘lucky draw’. • The Editor’s decision is FINAL and no correspondence will be entered into. • The competition closes at midnight on Tuesday 31 October 2017. So go on, give it a shot and enter as you may well win this magnificent watch. I had begun writing a few items for this issue when time simply ran away with me, so instead of deleting them as they are old news now, I have kept them in as I feel that the info is pertinent and interesting. Emirates Team New Zealand (ETNZ) swept the boards and reversed the roles after being trounced by Oracle Team USA (OTUSA) in the previous cup final. Their ‘pedal power’ certainly gave them an edge, but it was not that alone that gave them such a handsome victory. Their skipper and helmsman, Glen Ashby and Peter Burling were certainly cool customers who took every advantage they could at every opportunity to get ahead, or stay ahead of their opponents. At times instead of sailing off on their own, they would loosely cover OTUSA, even if it meant losing some distance. Their starts too were brilliant. I was not sure that I was going to be rivetted to the coverage every race, but as the qualifiers progressed I found myself more fascinated by the racing that it became ‘had to watch’ stuff. The sheer speed of those machines, and the way the Kiwis in particular threw them around in tacks and gybes was impressive. But in the end I did miss the crew work of America’s Cups back in the day. In a crew of 6, with just 3 being the real sailors, is not what sailing is about. I would like to see more crew, more sails, teamwork, tactics and sail changes in the racing in future. So where to now? Follow this link to see what the Kiwis have in store for us. Those seeking a souvenir of the 35th America’s Cup in Bermuda where Goslings Rum, the first and last word in Bermudian rum for more than two centuries, teamed up with America’s Cup to produce the rarest, most elaborate, and most limited-edition package in its history. The Goslings 2017 America’s Cup Trophy Rum and Decanter Ensemble (cost $10,000!) features its Auld Trophy Rum, a blend of Jamaican pot-still and column-still rums. The 49-year-old rum – the oldest in the Goslings warehouse – had been aged an estimated 10 to 12 years before being stored in glass flagons. Prior to blending and bottling, it was aged a further six months in first-fill bourbon barrels previously used to mature Goslings Old Rum, their extra-aged blend. The final product is astonishing, with an earthy, slightly grassy aroma. On the palate it’s rich and smooth, with deep notes of caramel underscored by a distinctive funkiness from the pot-still rums. The finish is long and dry, with an oaky spice featuring hints of tobacco. The bells and whistles in the package are as noteworthy as the rum, especially the crystal decanter created by Dartington Crystal in the United Kingdom. It’s a replica of the Auld Mug trophy awarded to the America’s Cup winner. A certificate of authenticity, a tasting journal, and a booklet signed by Malcolm Gosling Jr. describing the provenance of the rum are also included. It’s all housed in a handsome walnut box. Only 166 bottles of Auld Trophy Rum were produced – one for each year since the first America’s Cup, and sadly I don’t have one to add to my rum decanter collection! This was so long ago, but as it was previewed in the last TS, it’s worth revisiting briefly. Regrettably a spate of late withdrawals saw the fleet down to just 7 boats. Those who withdrew, and indeed those who saw fit not to compete, must have regretted their decisions as the race was downwind ALL the way – the first time this has ever happened in the race’s history. One wag saw fit to post a comment along the lines of “with the weather forecast looking like a downhill slide all the way, let’s get some additional very late entries to go”. I am delighted to say that no-one took heed of this as ocean racing is a serious business, and is anything but throwing a crew together as if doing a day sail. It needs commitment from all concerned, it needs planning, it needs weeks of boat prep, victualling – and the list is endless. I find it sad that there are people who think they can do a 400nm passage on a whim. The YBTRackers sponsored by Phil Gutche and GIMCO, were well followed and exceptionally accurate as usual. The viewing public, families, friends and followers of this race from around the world certainly enjoyed the interaction. A tradition dating back many year to when the race was to East London is the welcome breakfast everyone receives on finishing – irrespective of the time of day or night. Also now becoming something of a tradition is the farewell breakfast for all crew – a gesture of the host Club (PYC) to ensure that the crews are well fed before embarking on what can be a tough race. These breakfasts were sponsored by Humerail Spar and MDM Marine Services/Raymarine respectively. On a lighter note, reference is regularly made to the Vasco Virgins – the first timers. After a few (too many) rums at the finish, one crew was overheard on the phone telling his wife that he was no longer a virgin – forgetting the Vasco bit! Her reply was classic, as regaled by our rum infused former virgin. She simply said “I am delighted you still remember”! It was another great race, with Line Honours going to Sean Jones in the multihulls on SmartTri40; Rocket (Herbie Karolius) in IRC and PYC Dusky (John Marshall) in PHRF. ABYC is a great venue to finish a race of this nature, and the fact that they can accommodate a sit-down prizegiving dinner always makes the event just that much more special. The start of the 2018 race is on Thursday 26 April, heading south from Durban to Port Elizabeth. The host Club is the Royal Natal Yacht Club. Fancy racing around the world without getting cold, wet and hungry? Then this ‘virtual regatta’ is for you. Volvo Ocean Race has teamed up with Virtual Regatta for 2017-18 race game, and is back, better than ever, offering up the ultimate virtual sailing challenge. The new edition of the game, to be launched to coincide with the Prologue leg of the race on October 8, now features offshore and inshore racing, just like the real thing. In September SAS launched a new team racing initiative – a really good form of yacht racing, and one which, due the dedicated team racing boats available, will enable a wide variety of sailors and non-sailors to experience our sport. Following below is an overview of what the SAILING Mag Blog offers. 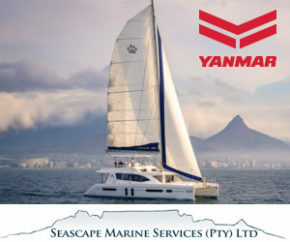 As said previously, please bookmark the site (www.sailing.co.za) and go into it regularly for your sailing news as it is updated daily. 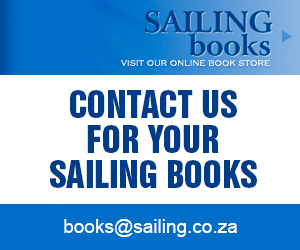 Instead of having full reviews of new books in every issue, we will simply direct you to the Book Review section on our SAILING Blog. The latest review is entitled: ‘Chasing the Cup. My America’s Cup Experience’ by Jimmy Spithill. Being reviewed very soon is the latest, hot off the press, Laser Sailing book entitled “The Laser Book” 6th edition by Tim Davidson. 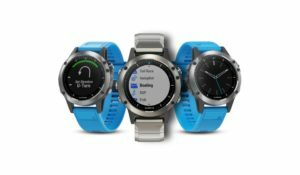 We have reviewed several really neat products recently, like the Garmin Quatix 5 watch; FLIR/Raymarine new products and more. There is a lot going on in our industry, and new products being launched. 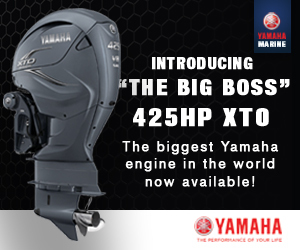 There Is now a revolutionary new 50hp diesel outboard; new Simrad and B&G products; Sunsail adventures and more. This award recognition from SAILING Publications continues on the Sailing Blog, despite there being no printed mag. Our latest two winners are the dynamic duo who won the 29er World Champs off Long Beach, California. Of course they are Benji Daniel (September) and Alex Burger (October). Both Benji and Alex were interviewed by SAILING after the event. Remember that ANYONE can make nominations for this monthly award, so go to the end of this “Talking Sailing” to see the requirements. “A Blast From the Past” was always very popular on the printed mag, and in fact for many became the very first page they would turn to on receipt of the mag. Well it continues – now with more pics and a broader variety. Regrettably this section of news is no longer as well populated as it was in print! Quite simply these organisations now believe that they have the ability to reach a broad spectrum of people via their own Club websites and Facebook pages only and are no longer submitting news. It’s sad really as the SAILING Blog has a large broad base of both new and existing followers all eager to read news about their favourite sport. So, ALL Clubs and Classes are very welcome, and encouraged, to submit their news, regatta reports, results and more. Who is going to be first to take me up on this? The Harken ‘Events Calendar’ is also still around – and provides a valuable service to those wanting to know what is on, and where, while also enabling people to plan their sailing better. Contributions from clubs, classes and event organisers are welcome and encouraged. This was another very popular part of the printed mag where readers could find a new boat, sell their old boat, spares, sails, fittings and much more. There is absolutely no charge for these ads which will appear for 30 days at a time before being deleted. And only 30 words are permitted. So, if your garage is bulging at the seams or your boat is looking a little low on its waterline, NOW is the time to get that old equipment and advertise it right here! We also have a bots for sale section where you may advertise your boat, add pics and give far more info than the 30 words permitted in the Free Classifieds section. So if you want to sell your boat privately, and at a reasonable cost, this is the place. When my mother was called for jury service, she felt confident of her ability to answer the questions asked of prospective jurors. Since I am an attorney, I had filled her in on what to expect. As a follow-up, she was asked if she had ever used the services of an attorney. “Only to mow my lawn,” she said. Common sense is like deodorant. Those who need it the most, never use it! These will be back for the next edition. So please let’s have your reactions, feedback and thoughts on our sport, Clubs, Administrators and “Talking Sailing” too. Monthly winners are featured on the SAILING Magazine Blog, with the overall ‘Sailor of the Year’ receiving a substantial cash prize. What is the procedure? All nominations must be fully motivated in writing, and must be accompanied by a head-and-shoulders picture of the candidate, plus an action sailing pic aboard his/her boat. Motivations must include current performances, a brief CV of the nominee, and other pertinent, personal background information (age, school, employment, home town etc) so that an interesting editorial on the winner may be written. Failure to submit the required material will result in the nomination not being considered. Deadlines. Nominations must be received by the 1st of every month, although this may be extended at the Editor’s discretion, so it is recommended to submit them as soon as possible.If you think there is a sailor worthy of nomination, simply send the nomination with a motivation and a photo of the person.